If you’re curious to see how loft conversions look and work or you’re actually starting the process of obtaining a quotation then we hope you find our website both relevant and informative. 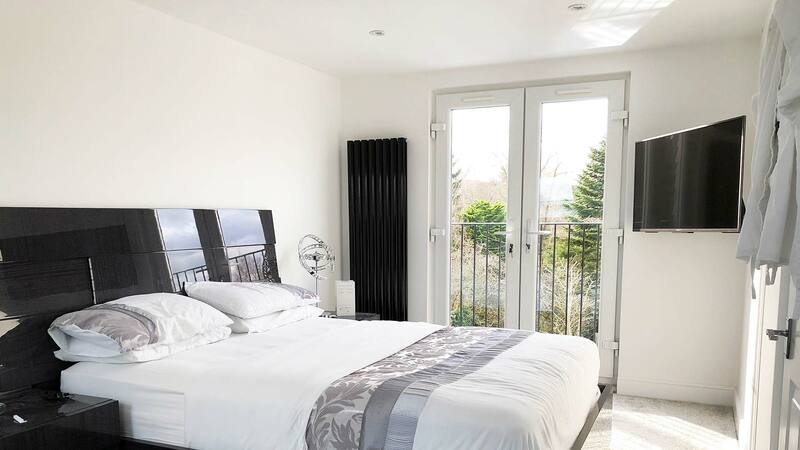 With more than 30 years experience in building loft conversions along with 3 generations of family involvement, we are North London and Hertfordshire’s leading Loft Conversion company having unrivalled knowledge and expertise in converting Lofts. We have helped thousands of homeowners transform their attics into beautiful spaces. We provide a free survey and comprehensive quotation without obligation including a detailed floor plan with all enquiries. Exceptional quality and the highest standards make us who we are. 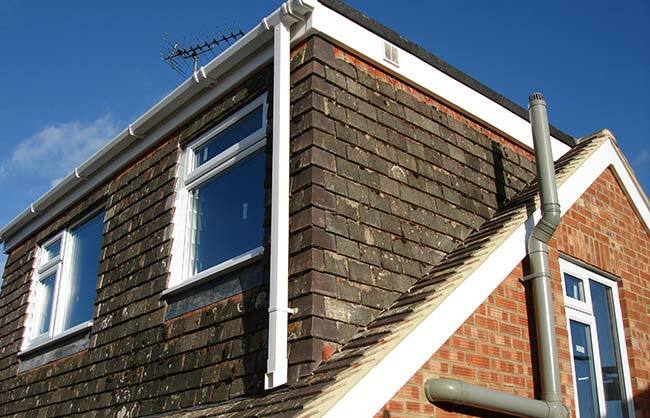 Loft conversions are now the most desired form of extending a home. For exceptional value and what is gained in additional living space, they provide homeowners with something few extensions elsewhere on a house can provide. 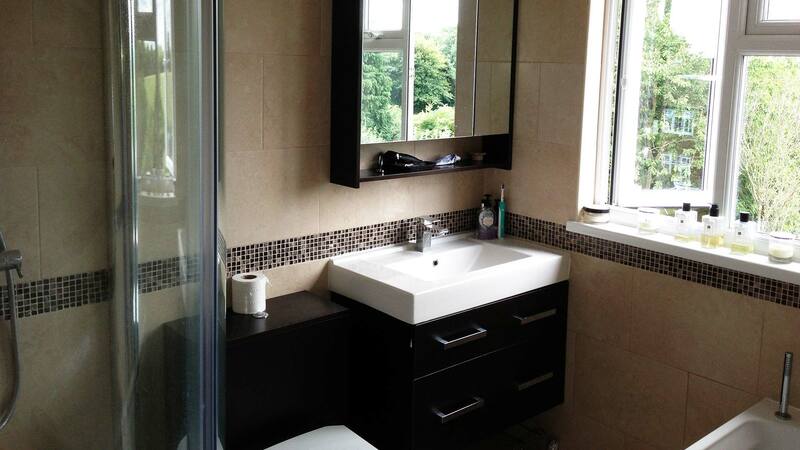 Contact us to arrange a free quotation for your home. We’ve been converting attic storage space into luxurious living space for more than 30 years, and our hundreds of satisfied customers tell us that the cost of a loft conversion is more than worth the investment. 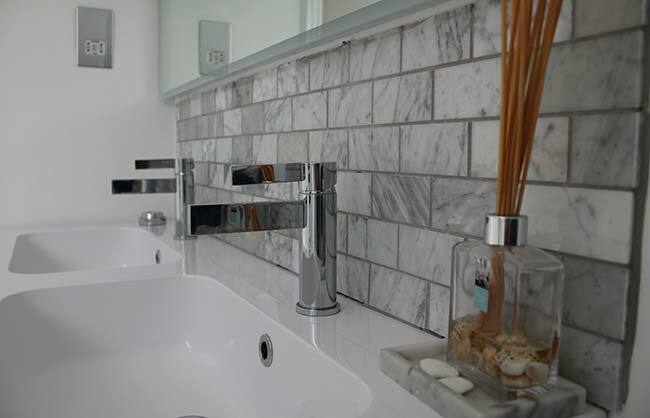 Apex Lofts services the North London and Hertfordshire areas, focusing on the highest quality, craftsmanship and trustworthiness. We provide a fixed price which covers labour, first-rate sustainable materials, all building regulations and planning application costs, architectural loft conversion plans and design work. Make more of your home: email or call us on 01707 658604 for a free, no-obligation survey - we'll even provide initial loft design drawings as part of the quote we prepare for you. We’re renowned for craftsmanship of the highest standard. We are a member of The Guild of Master Craftsmen and have full public and employer’s liability insurance. Make more of your home. Call us now on 01707 658604 or email us. 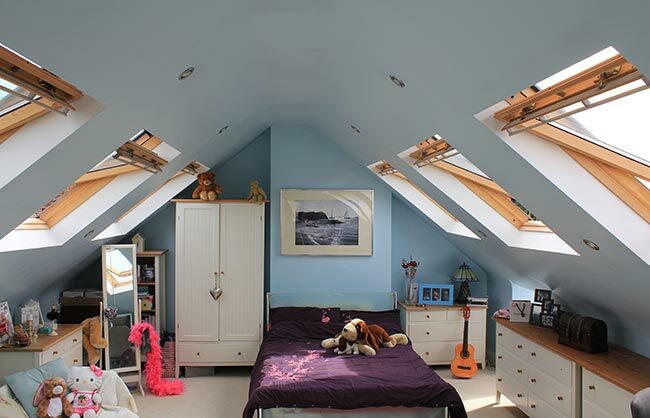 And if you’re looking for ideas or inspiration, take a look at our loft conversion portfolio. Velux loft conversion uses Velux rooflight windows installed into the pitch of the roof to allow sunlight to flood the newly converted attic. 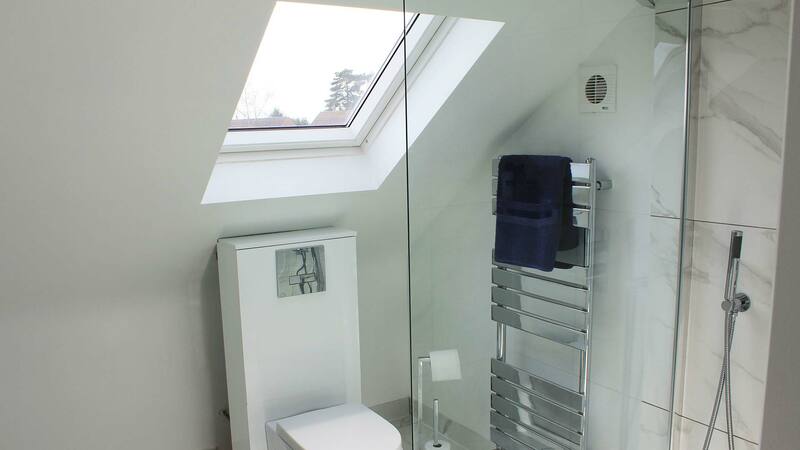 An attic conversion that relies on artificial lighting can feel oppressive; Velux roof windows are specifically designed for maximum daylight and plenty of ventilation whenever you want it. 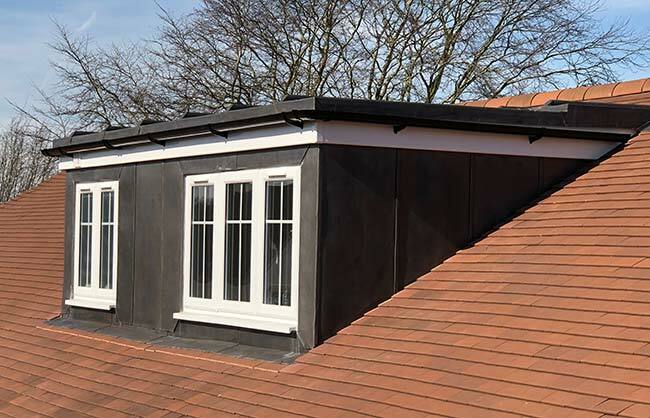 They fit any gradient of roof slope – with windows available for flat roof conversions – and because there’s no visible extension of the loft beyond the existing roofline, there’s no need to worry about planning permission for the loft conversion. As fully approved Velux window installers, you won’t find anyone better placed to advise you on the perfect products and their ideal positioning for your loft conversion. A roof dormer window adds living space to a loft conversion with a pitched roof. It’s the exterior part of the conversion; a square or rectangular section construction providing headroom beyond the slope of the ceiling and finished with a vertical window. Discussing the cost of a dormer window is all part of our initial quotation phase – equally important is the proportion of the dormer conversion against the size of your roof and the width and height of your house. It’s a fine balance getting more floor space and headroom in the attic conversion plans while still maintaining an original and natural appearance from the outside. 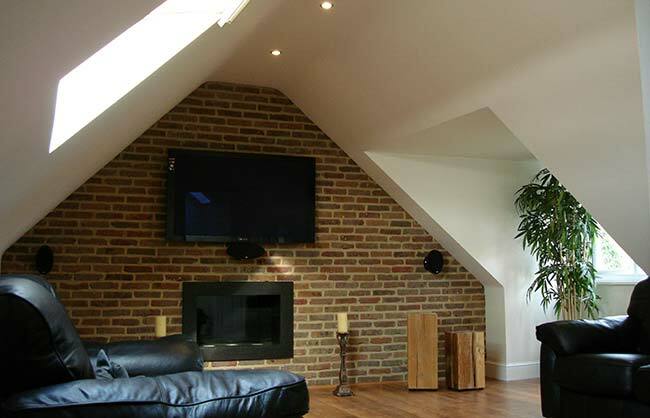 A hip to gable loft conversion gives you a much larger living area in the existing loft space. We find a hip-end roof conversion provides enough extra space to accommodate a shower-room and introduce the best staircase positioning, as well as increasing standing space in the loft conversion. A hip end is the sloping end to a roof. A gable is the triangular section of wall which stands between two sloping roofs. A hip to gable loft extension extends the roof’s ridge line from the existing hips – where the existing upward ridges of the hip end meet the very top of the roof – to the furthest vertical wall. 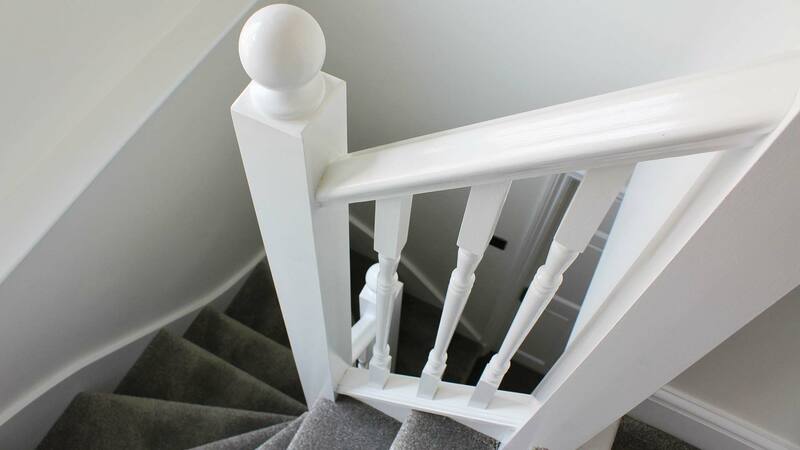 In the course of any loft conversion planning, the positioning of the staircase is among the most important considerations – it’s a fundamental part of loft conversion design. 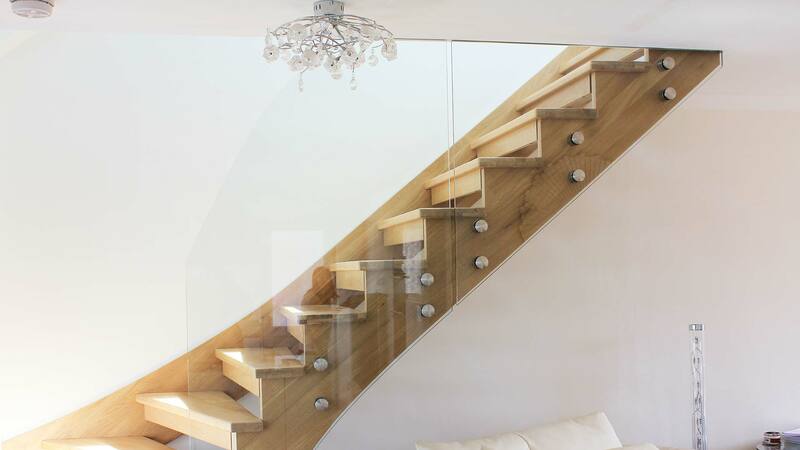 In most cases we find that the best place to put the attic stairs is above the existing staircase. By starting at the side of the bedroom door and climbing upwards along the flank wall of the house, no extra space is needed or taken away from the first floor living area to accommodate the new loft staircase. The existing floorplan of your house is usually the defining consideration, but depending on the scale and type of loft conversion, other options may be available, especially if you are considering a hip-to-gable conversion. A house extension of any kind is enormously exciting, but we understand that it can also be an anxious process, not least because of the large sums of money involved to realise your dreams. So it’s absolutely vital you research the local loft conversion market. You’ll find plenty of builders advertising themselves as loft conversion companies, but you need to be completely confident in the loft conversion company you decide to work with on this most important of projects. A successful and unblemished track record is rarer than you might think among loft conversion companies. We’re proud to stand apart from the competition. Our long standing in the North London and Hertfordshire loft conversion marketplace, and the numerous testimonials and referred business we receive provide invaluable reassurance of our commitment to quality and the improvement of our clients’ homes. Step by step to your loft conversion. We’ll confirm a convenient day or evening time for our managing director, Richard Lever, to visit you in your home. The home visit allows us to discuss your needs in as much depth as you would like and to carry out a survey of the loft space and assess potential loft conversion design ideas. Hopefully you’ll have looked at some of the many loft conversion examples in our portfolio already, and perhaps have your own wish-list of ideas already. Depending of course on the size of your attic space, our visit should take no longer than half an hour. 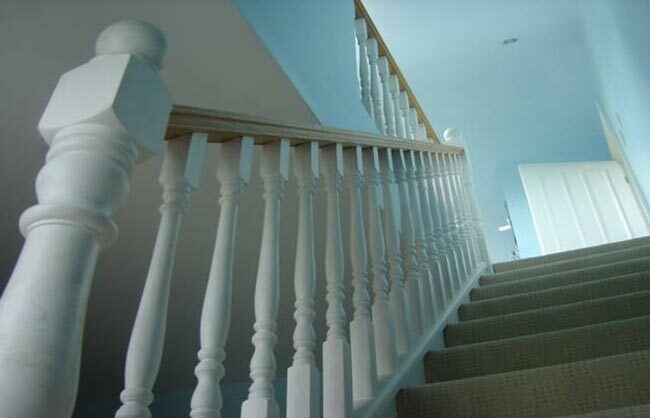 From our discussions and the loft inspection, we produce our detailed quotation within a week. We can provide this by email or by post if you prefer. If you decide you’d like to appoint us as your preferred loft conversion company, we ask for an initial deposit of just 5% of the quoted loft conversion cost. This allows us to instruct our architect to visit your home, discuss your loft conversion ideas and produce detailed architectural plans within a few weeks. The deposit also allows us to schedule an approximate start date and build time. We’ll then contact you a month before two dates: the erection of scaffolding and a confirmed start date shortly after. This way, the start date means the start of the loft conversion itself. Our craftsmanship and care are our reputation and our future, and we leave nothing to chance. Our owner and MD, Richard, has upheld the highest standards in converting lofts since founding Apex in 1992, and because he still loves the hands-on approach, he is on-site with every project, working alongside the team. Our workforce comprises long-standing employees and partners for all construction, electrics, plumbing and exterior roofing work, all overseen on-site by Richard. There’ll never be an unfamiliar face working on your attic conversion; even our plasterers (the only trade we subcontract) are people we’ve worked closely with for many years. Loft conversions for terraced and semi-detached houses always require a Party Wall Agreement. That’s because various RSJs (steel beams used to support the structure) will rest on and inside the party wall. Even though the beams will rest only on your half, a Party Wall Agreement has to be entered into to avoid any disputes arising once work has started. 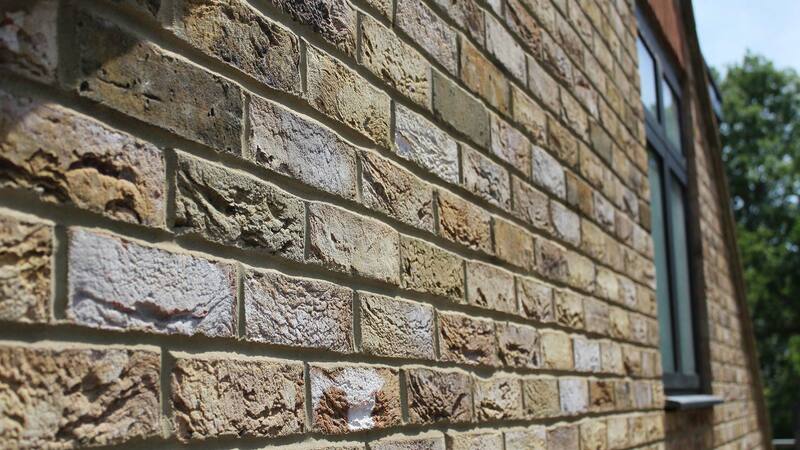 The Party Wall Act provides a building owner who wishes to carry out various sorts of work to an existing party wall with additional rights going beyond ordinary common law rights. to protect two adjoining walls by putting a flashing from the higher over the lower, even where this requires cutting into an adjoining owner's independent building. If you intend to carry out any of the works mentioned, you must inform all adjoining owners. In fact, you must not even cut into your own side of the wall without telling the adjoining owners of your intentions. The building owner must provide temporary protection for adjacent buildings and property where necessary, and of course is responsible for making good any damage caused by the works or must make payment in lieu of making good if the adjoining owner requests it. It is obviously best to discuss your planned loft conversion works fully with the adjoining owners - although a professional adviser can do this on your behalf - before you give notice in writing about your loft conversion plans. If you have already ironed out possible snags with your neighbours, this should mean that they will readily give consent in response to your notice. You do not need to appoint a professional adviser to give the notice on your behalf. The notice should be dated and it’s advisable to include a clear statement that it constitutes a notice under the provisions of the Party Wall Act 1996. You may deliver the notice to the adjoining owner in person or send it by post. Where the neighbouring property is empty or the owner is not known, you can address the notice to "The Owner", adding the address of the premises, and fix it to a conspicuous part of the premises. You do not need to tell the local authority about your notice. The notice should be served two months before the planned starting date for work to the party wall. The adjoining owner may agree to allow works to start earlier but is not obliged to, even when agreement on the works is reached. The notice is only valid for a year, so do not serve it too long before you wish to start. Agreements must always be put in writing. If you cannot reach agreement with the adjoining owners, the next best thing is to agree with them on appointing what the Act calls an "Agreed Surveyor" to draw up an "Award". The agreed surveyor should NOT be the same person that you intend to employ or have already engaged to supervise your building work. Alternatively, each owner can appoint a surveyor to draw up the award together. The two appointed surveyors will select a third surveyor (who would be called in only if the two appointed surveyors cannot agree). allows access for the surveyor(s) to inspect the works while they're going on (to see that they are in accordance with the award). If this hasn’t answered your query, or you’d like to discuss the best way to talk to your neighbours about your planned loft conversion, please do give us a call on 01707 658604 or by email. Typically, a rear dormer loft conversion on a terraced property will take four and a half weeks to complete and a gable-end and rear dormer conversion on a semi-detached property will take five and a half weeks to complete. You can feel confident that these loft conversion timescales are an accurate guideline; because we directly employ our full-time tradesmen, we’re not reliant on subcontracted labour, and that means complete reliability and no last-minute letdowns by outside trades. This means, barring exceptional weather conditions, we are extremely confident of all projected loft conversion timings, and your own loft extension timescale will be detailed in our initial quotation. ARE LOFT CONVERSIONS BUILT IN THE WINTER AS WELL AS SUMMER MONTHS? Absolutely – our loft conversion company is, we’re proud to say, busy all year round. We convert lofts in winter using a system which ensures your home is never exposed to the weather at any time during the loft conversion works, just as we do during the summer. DOES LOFT CONVERSIONS NEED PLANNING PERMISSION? Thankfully, planning permission for loft conversions is no longer needed in most cases. On 1st October 2008 the planning laws for loft conversions in England and Wales changed significantly. Before then a Total Permitted Development (PD) allowance was granted on a property to allow it to be extended before it would require planning permission: a maximum of 50 cubic metres for a terraced home and 70 cubic metres for a semi-detached. A loft conversion could be constructed up to a volume of 40 cubic metres for a terraced property and 50 cubic metres for a semi-detached before it required planning permission. These maximum figures still apply to loft conversions. But before the law changed, if you already had a ground floor extension then the volume of the extension would be subtracted from the loft conversion allowance, which meant that in a lot of cases seeking planning permission for attic conversions was inevitable. What’s more, obtaining permission was always a minefield since different local authorities had different criteria on planning regulations. Under the new simplified planning laws, only a few loft conversions need planning permission. Planning permission must be sought in conservation areas. Any other alteration to the roof of a dwelling house must not protrude more than 150mm beyond the original roof plane, or be higher than highest part of the original roof. For more information on the new planning laws that came into effect after 1st October 2008 governing England and Wales you can view the government’s Planning Portal. Alternatively, contact us now for a free, no-obligation loft conversion suitability survey and quotation for your home: 01707 658604 or email. AFTER GIVING PLANNING PERMISSION, IS THE LOCAL AUTHORITY INVOLVED? IF SO, HOW? The local authority is involved from the start to the finish of the roof conversion. But don’t worry - we take care of it all for you. First of all the local authority receives the plans from the architect and checks all the structural calculations through the Borough Engineer’s department. Once these have been confirmed, along with all the relevant building regulations for loft conversions, an approved set of plans are returned and we can start converting your loft. During the various stages of loft conversion construction, a building’s inspector from the local authority arrives to make sure all the structural work adheres to guidelines and building regulations are being carefully followed. Once we’ve finished the loft conversion, a final inspection is carried out. Once the project is confirmed as meeting all the requirements, a completion certificate is sent to you, the homeowner, confirming that your loft conversion complies with the building regulations covering England and Wales. Nearly all lofts or attics can be converted, as long as they are not breaching planning or conservation guidelines. However, the height of your roof ridge is crucially important. If you were to stand in the centre of the roof and measure from the top of the existing ceiling joists in the inside of your loft, to the top of the ridge board at the apex of the roof, and you have a minimum of 2.2 metres, then the loft is suitable for conversion. If the measurement is less than 2.2 metres, even though the regulation on height has been relaxed in loft conversions, it is unlikely you would have enough useable headroom clearance. To be sure, call us now to arrange a free, no-obligation loft conversion survey and quotation on 01707 658604 or by email. WHAT INSURANCES DO YOU HAVE AND DO YOU GUARANTEE YOUR WORK? These are absolutely vital questions to ask of any loft conversion companies or general builders you speak to. At Apex Loft and Roof Conversions we have employer’s liability insurance of £10,000,000 and individual public liability insurance of £1,000,000. Both are available to see on request. 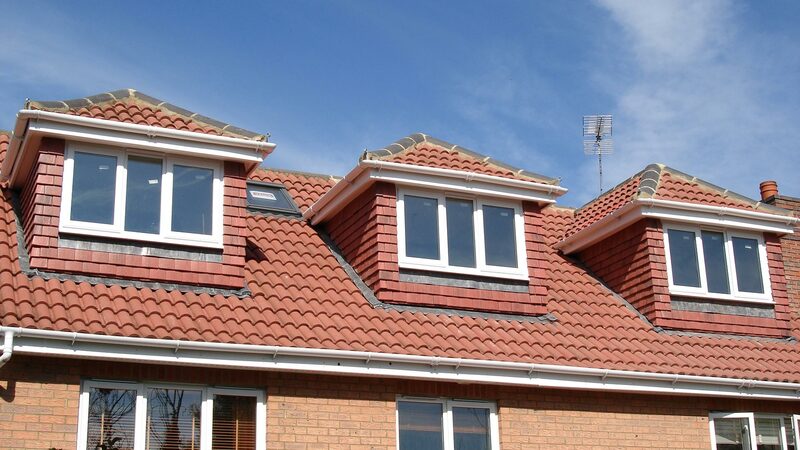 We also offer a 10-year structural guarantee on our loft conversions and a 1-year free maintenance guarantee. We are a member of the Guild of Master Craftesmen and our membership details can be found on the website. For further reassurance, please take a look at a sample of the many testimonials we’ve received from satisfied customers.